Describe the basic purpose and challenges of thermal performance in modern cladding systems. 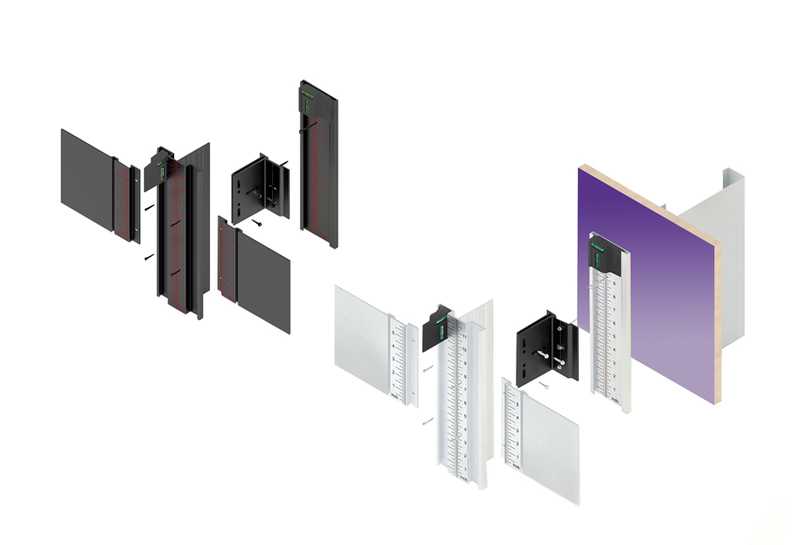 Explain the challenges associated with cladding support systems and installation. 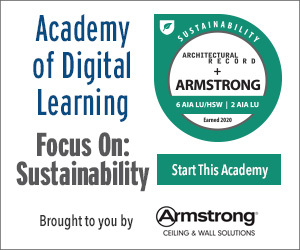 Discuss the importance of mitigating thermal bridging when specifying cladding systems. List the ways certain railing systems can accommodate different cladding materials. Energy efficiency is one of the top challenges in building design. Reduced heating and cooling loads save building owners and occupants money, and they lower associated greenhouse gas emissions. Energy-efficient cladding systems are one of the top two ways to improve thermal performance, with newer, more energy-efficient HVAC systems being the other. Cladding systems can be an important part of the building envelope, which is central to modern building design and construction. Building envelopes are comprised of a system of components that physically separate the interior and exterior of the building, with the primary goal of keeping the building dry and at a comfortable temperature. The envelope typically consists of the foundation, floors, walls, fenestrations and doors, roof, and exterior cladding. Together the envelope layers address the energy-flow needs of the structure and provide buffers from outside noise. 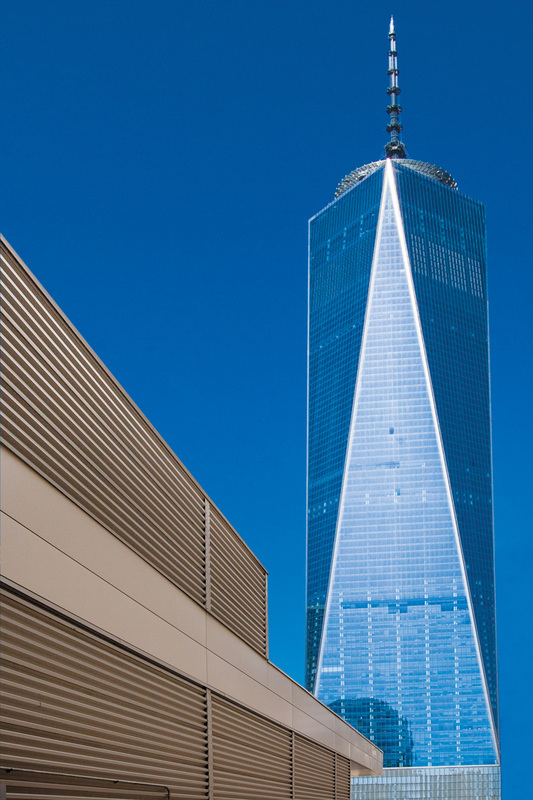 Freedom Tower in New York City was designed with exterior cladding to help create a visually stunning appearance and also meet energy efficiency goals. The layers will vary between buildings in different climates and with different materials, but the goal is the same: to keep the inside of the building dry and at a comfortable temperature, all while addressing the building’s energy needs. While the concept of layering a building envelope sounds simple at first, the main challenge arises when it comes to attaching the outer layers to the building structure. Every single attachment point that punctures the insulation is a thermal bridge that connects the building’s interior and exterior. In cold weather, thermal bridges allow heat to escape and cold to enter the building; in summer, the opposite is true. One way of reducing the impact of thermal bridging is to include a thermal break with a nonconductive material, such as plastic. A plastic cap on a metal fastener or along the edge of a metal window, for example, can help break the heat transfer and improve the energy efficiency of the building. Plastic or non-conductive polyamide can be used in cladding mount systems to break thermal bridging paths. Another thermal break material is polyamide, which is a fiberglass compound; the material has several benefits over plastic. First, where plastic may weaken and crack under certain conditions, polyamide is very strong and can bend without cracking. Second, strips of polyamide are generally much thicker, and the thickness translates directly into improved thermal performance. When used as a thermal break for an aluminum cladding support system, polyamide breaks can drastically improve the overall thermal performance of the system. Another way to reduce this energy loss is through continuous insulation (CI), which is becoming increasingly common and is a code requirement in states following ASHRAE 90.1-2007 and IECC 2009. Continuous insulation is basically what its name suggests: insulation that is continuous across all structural members of a building, with fasteners and service openings as the only thermal bridges. Continuous insulation often is described as rigid foam insulation or mineral wool and can be installed on the building’s interior or exterior (underneath the cladding). When used on a building’s exterior, continuous insulation can improve energy performance up to 50 percent compared to traditional interior insulation. This approach to insulation is great for residential projects, and it’s relatively easy to implement. Commercial and multifamily residential projects that include large-panel exterior cladding systems and ventilated facades are a bit trickier because of the load requirements associated with the panels. Exterior cladding is often used as a rainscreen to protect the building’s structure and interior from wind, rain, and sun exposure, and it also can damper outside sound and provide a relatively easy way to change the look of the building. Cladding is available in different materials, including aluminum panel, thin ceramic or cement, and even stone, but the attachment systems are generally made of metal such as aluminum and, more importantly, are attached with metal fasteners to the building structure via a specially constructed substructure. Basic requirements of the attachment system are that it can safely hold the gravity load of the panels and accommodate wind loads (and snow, depending on the climate) as well as any movement the building may experience. Each of these attachment points is a thermal bridge that can compromise the overall energy efficiency of the building. New energy-efficient building designs are increasingly built with high-performance materials that improve not only the thermal performance but also positively impact the health and welfare of the building occupants. Exterior cladding materials often are used in this capacity while adding to the beauty and resiliency of the building. As designers shift toward creating high-performance structures that can withstand the unpredictability of changing climates and harsh environments, materials such as cladding will become increasingly important. In addition to thermal performance, exterior cladding contributes to overall health, safety, and welfare of building occupants by protecting the building interior from moisture. The long-term impacts of damp buildings can include everything from respiratory problems caused by mold, fungus, and spore growth to the physical problems caused by rotting substrates. In other cases, moisture that gets into a building can release volatile organic compounds (VOCs), which can cause serious health problems when occupants are exposed over an extended time.